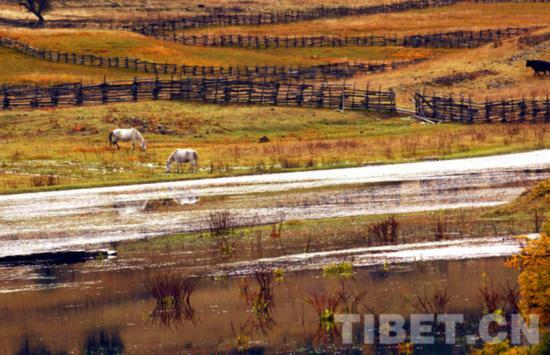 Beautiful scenery in Nyingchi Prefecture, southeastern Tibet Autonomous Region. Nyingchi means "throne of the sun" in Tibetan language. Located in southeastern Tibet Autonomous Region, Nyingchi Prefecture is mostly untouched land with verdant mountainous terrain and clear waterways. Nyang River, Palong Zangbo River, Yarlung Tsangpo River, Baksum Tso Lake, Bon Ri Sacred Mountain and Pugu Monastery are the main tourist destinations in Nyingchi. With large number of river valleys and alpine gorges, Nyingchi is regarded as the "Switzerland of Tibet".